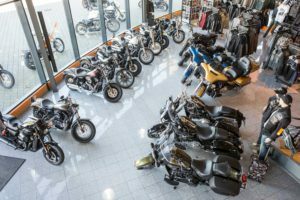 Since about a quarter of a century Rick’s Motorcycles is engaged with making custom parts and customizing individual stock motorcycles. 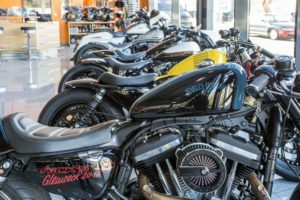 This makes the company not only one of the oldest Harley-Davidson customizers in Europe, but also is a credential for an enormous amount of experience. 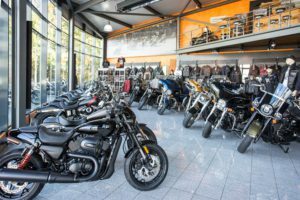 Rick’s Motorcycles has always stood for maximum quality and unusual designs, and that in Baden-Baden innovative parts for demanding customizing projects are being developed and made is no secret and well known beyond the local area. Rick’s products are today sold all over the world and can often be seen on winning bikes at various bike shows. Only if you build motorcycles yourself do you know which parts are required and how they should be made. At Rick’s Motorcycles many different custom bikes are being built. A highly specialized team of experienced staff members makes even the most unusual ”dreams of steel” a reality, whether a wide tire conversion with a 300 tire at the rear, extreme Chopper or noble Bobber with a lot of chrome, the possibilities are endless. 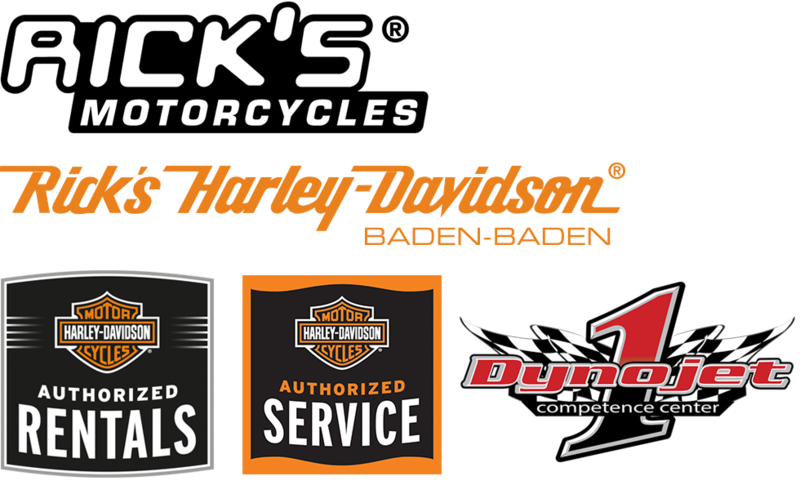 Rick’s Motorcycles is, however, not only a customizer, but also an official Harley-Davidson dealer and therefore every bike from the latest Harley-Davidson model range can be bought, and special customizing requests can be fulfilled when a new bike is being purchased. On request this can be done within the financing of the purchase or as part of the leasing contract. But more important is that here personnel trained by Harley-Davidson with the right tools and the right software works on the motorcycles. Only in this way correct conversions can be executed, which carry the “Rick’s Motorcycles” seal of quality. 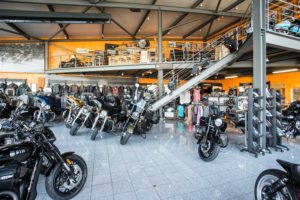 In spring 2017 the Rick’s Motorcycles web shop went online, in which the whole portfolio of the company can be found. Apart from the fact that every available product can be ordered with a few mouse clicks, there are also fitting instructions for the various models and a lot of detailed information. The plans for the future are impressive in terms of new custom parts and bikes, but also the development of the company. We think that the future will still bring many surprises and innovations, and don’t want to say too much at this point, but one thing is certain, “Rick’s Motorcycles” and the parts that are being developed and made here will also in the future be of “Quality Made in Germany”.